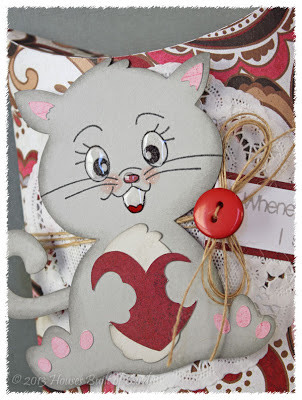 My Craft Spot: Monday Challenge #85 - Valentine's for kids! 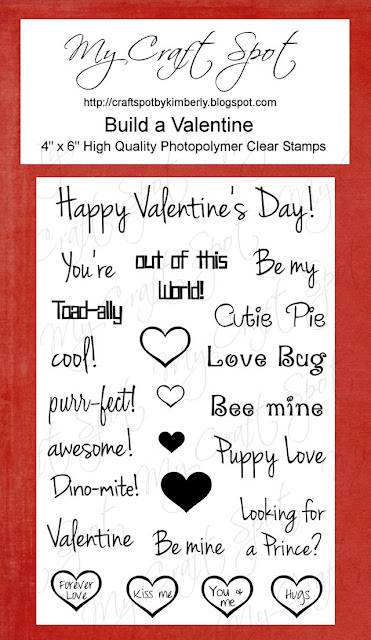 Valentine's is such a fun holiday for kids! I remember my mom making sugar cookies and decorating them for me and my sisters to take to school for my class. She must have made over 100 cookies. What a sweet mom! Now we have to send bought treats instead of homemade. But, I still get to make sugar cookies every year for my own kids and they love it! A handmade valentine makes it even better! 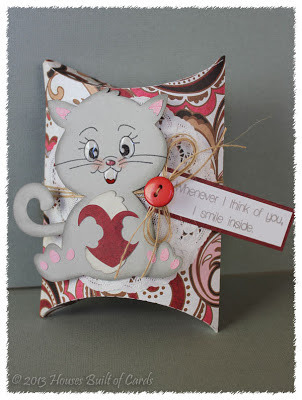 This week's challenge: Valentine's for kids! Awesome projects by my wonderful design team! GiGi's M&M treat cards are sooo cute! I love the fun cuts she chose - especially that adorable alien/robot!! What a fun way to package treats! GiGi's stamped sentiments are from the Build a Valentine stamp set and the Always and Forever stamp set. 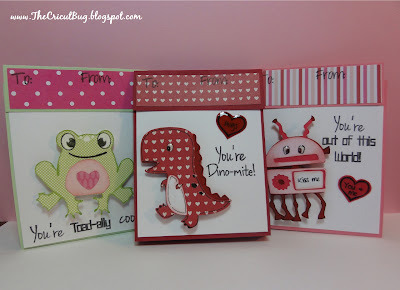 Gwen's valentine's are so fun! I love that she used a pencil for her arrow! Love the papers she chose! 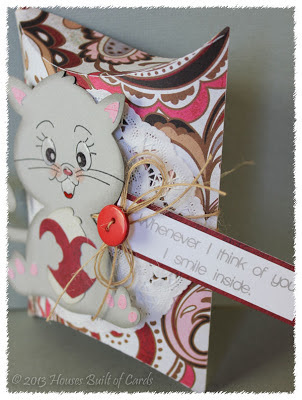 Gwen's stamped sentiments are from the Build a Valentine stamp set. I love the fun cuts Robin used - so cute!! 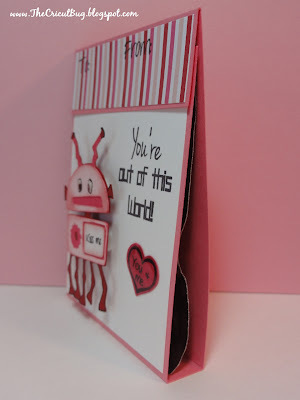 Robin used the Build a Valentine stamp set for her sentiments. Sherrie's treat bags are fabulous!! I love the fun eyes and banners! So cute! 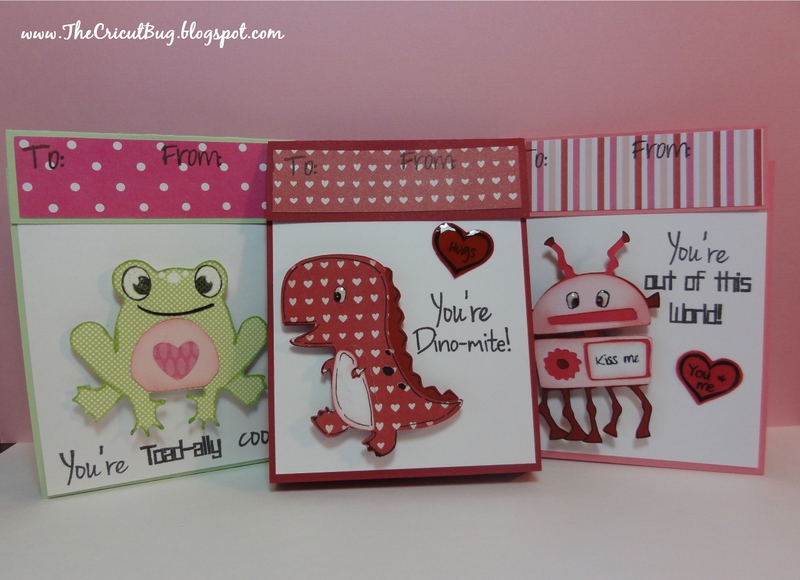 Sherrie also used the Build a Valentine stamp set for her sentiments. Heather's Kitty is adorable! Love the face and glossy eyes! The stamped sentiment is from the Sweet Sentiments stamp set. Heather tied everything together with a bit of Natural jute twine. I love the pink 'flames' and the Hershey kiss on top! Ally used the Build a Valentine stamp set to stamp her cute sentiments. Awesome projects DT! What great inspiration for Valentine's Day. Wonderful Valentines, all of them!